SAP National Security Services and CounterTack have forged a strategic partnership to facilitate the delivery of an enterprise security tool to government and commercial clients. CounterTack said Wednesday it will integrate its Endpoint Threat Platform with the SAP HANA in-memory database management system in an effort to accelerate data processing operations and provide security analysts with predictive intelligence support needed to counter security threats. 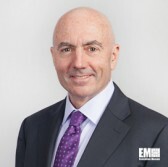 “The demands on cybersecurity teams today are intense, and the ability to detect and remediate threats rapidly means high-availability data across large, highly distributed environments,” said Mark Testoni, president and CEO of SAP NS2. CounterTack’s ETP system works against enterprise security threats through the use of the SAP HANA analytics tool and application of machine learning and behavioral analysis. CounterTack also raised $20 million in Series D financing round in which SAP NS2 joined as a new investor.